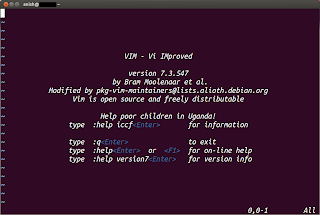 As an Ubuntu Advocate every person whom i recommend ubuntu as best and free operating system for their system, they always ask me one simple question what are the basic things i need to install on my Ubuntu system, so in this blog post i will try to suggest few application that every user must have on there system. 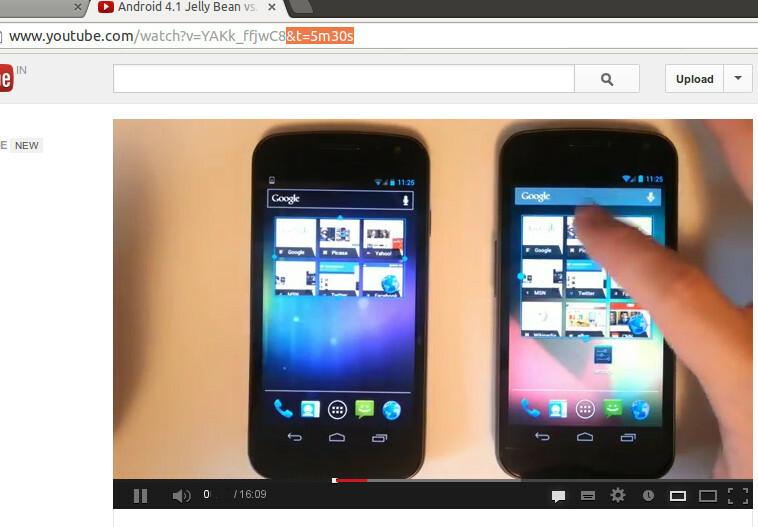 As i said these are basic application according to me, its on you which application you want to install in your system. 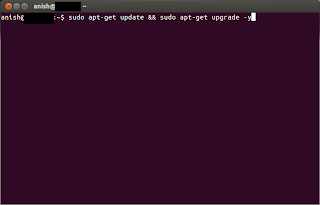 After installation of latest operating system, we also need to update for the newest patch and fix for system. 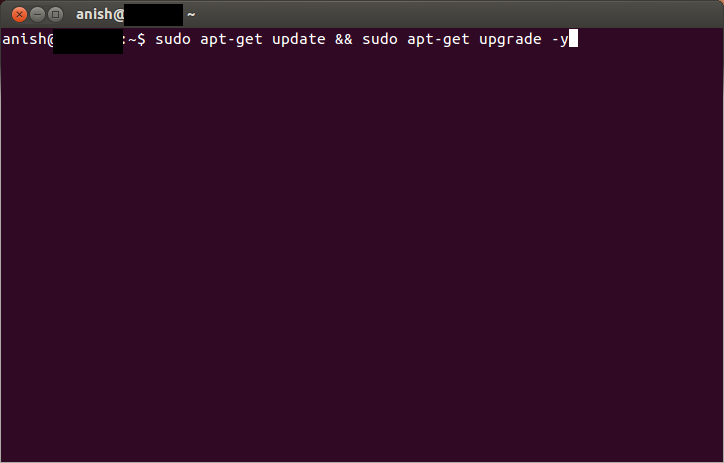 open the terminal and enter following command. 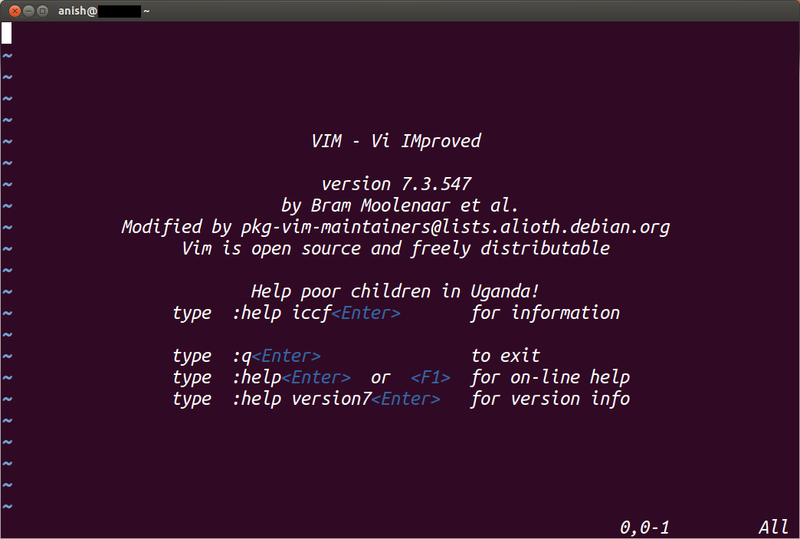 vi is default installed in most of linux distro, vim is improved version and most popular text editor. 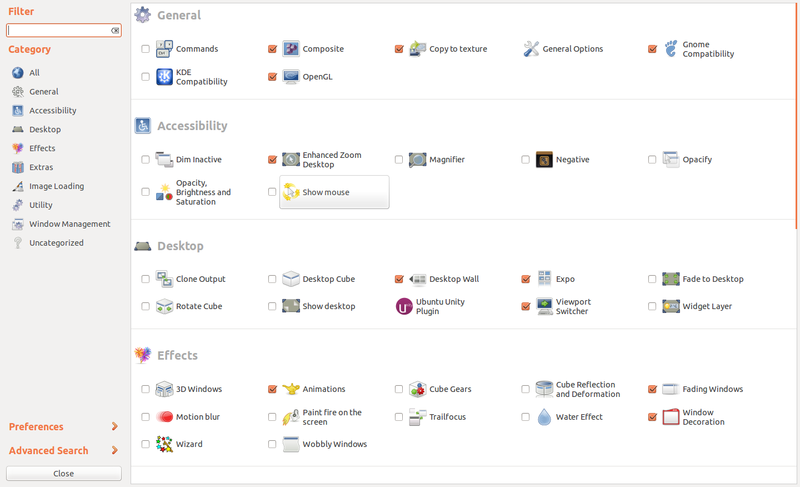 The first "Feature" that attracted me to Ubuntu was the multiple workspaces thing, I know, it's kind of silly but workspaces are still very important to me. 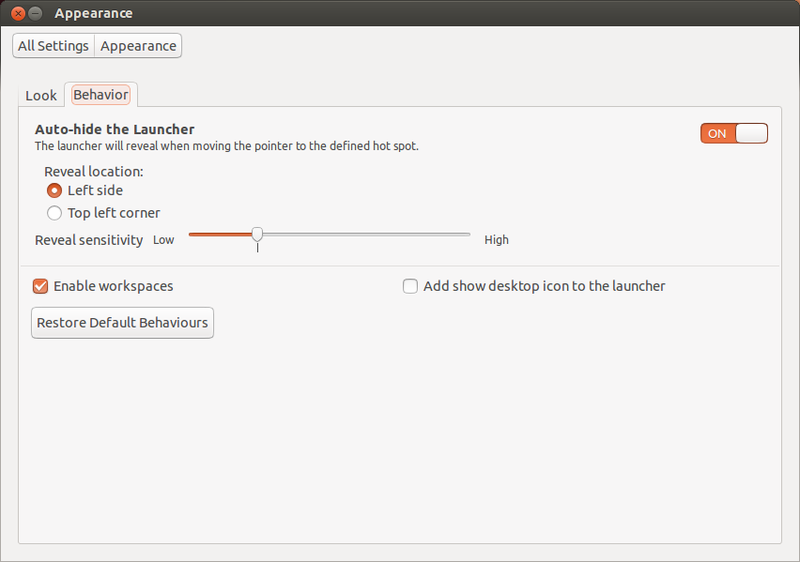 in Ubuntu 13.04 the workspace is disabled, but you can enable by going System settings>appearance (Behaviour tab) Tick on enable workspace. 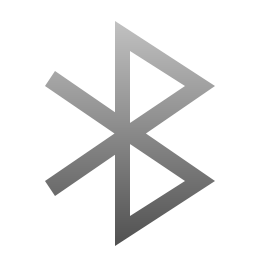 Already Explain Every Think about Everpad Here. 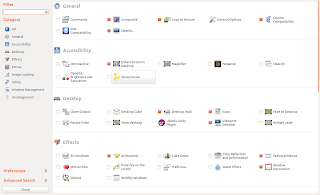 Every User require basic image editing software and Gimp is One of The Best Image Editing software more info on gimp read my previous post. 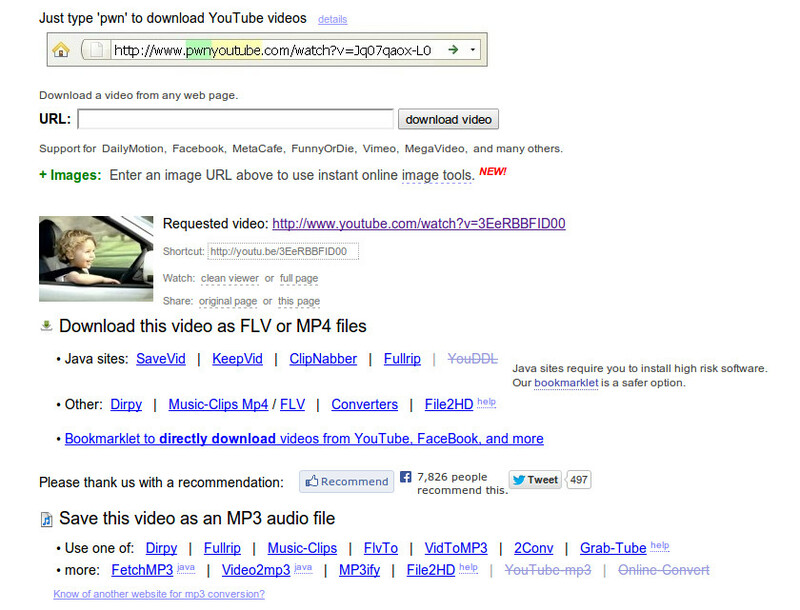 This will enable your system to play popular file formats like mp3, avi videos etc. 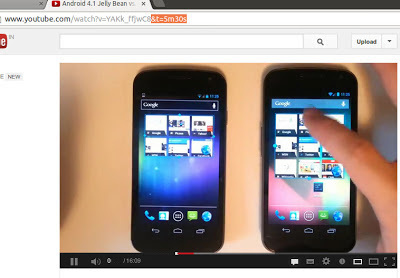 Link Here direct download from software center. 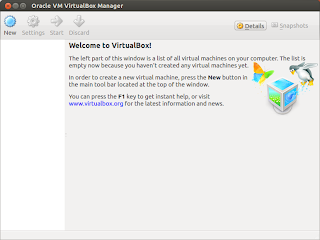 Medibuntu is a packaging project dedicated to distributing software that cannot be included in Ubuntu for various reasons, related to geographical variations in legislation regarding intellectual property, security and other issues, some examples of packages included in Medibuntu we find libdvdcss package from VideoLAN, FFMpeg codecs not supported in multiverse, and the external binary codecs package (commonly known as w32codecs) used by MPlayer and xine. CCSM still has some interesting tweaks for example zoom effect and more, that will discuss more about in my next post. 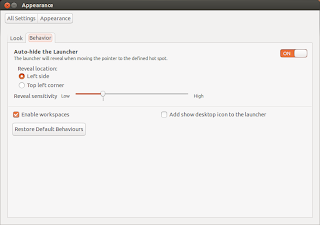 Ubuntu Tweak is an application to config Ubuntu easier for everyone. 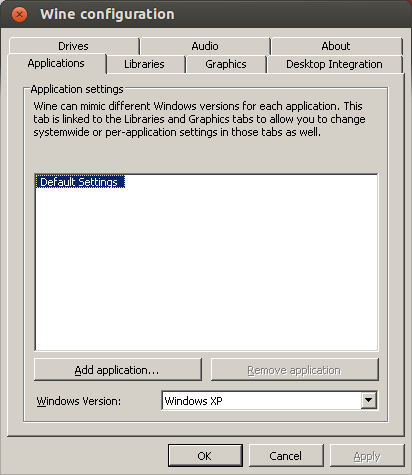 It provides many useful desktop and system options that the default desktop environment doesn't provide. 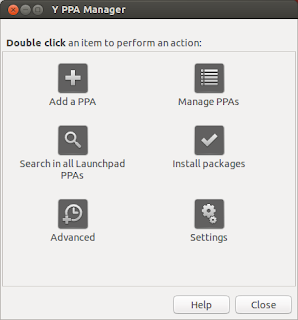 Using Ubuntu Tweak you can install all needed applications with a simple click, you can change the window buttons from Left to right or clean unwanted cache and old archive files in one click (using Janitor) and much more. 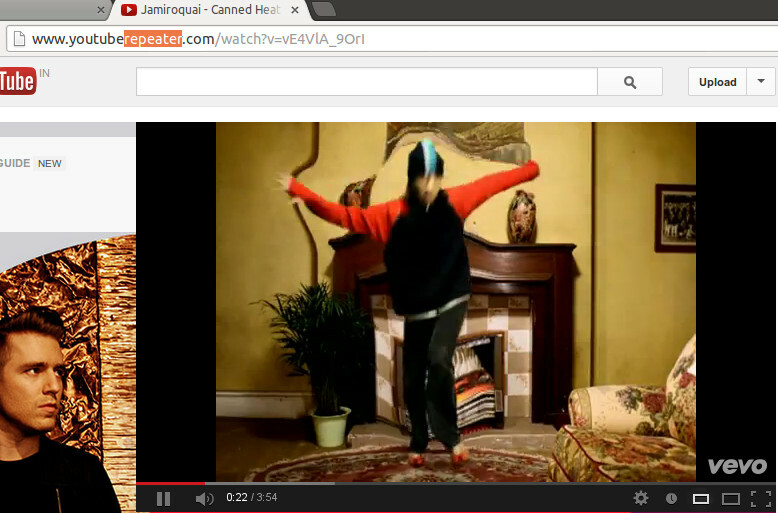 Most of time i use firefox as default browser in Ubuntu, but the second choice for me is chrome. Archive management application will help up you to open most of archive type files. 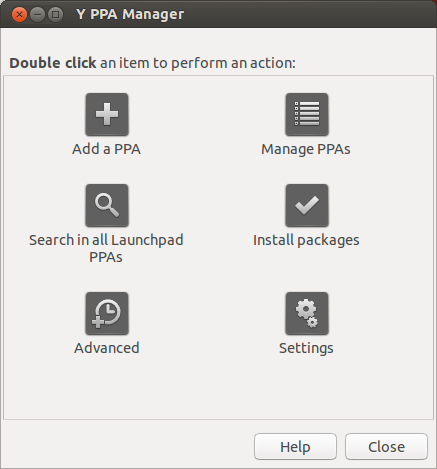 I always use repository command to manage PPA but Y ppa manager is one of the best GUI base application with will help you to add, remove or purge & search PPAs in all launchpad ppa’s in separate list file more info can be found on Launchpad. Free and opensource cross platform multimedia application that can play almost any multimedia file. Well there is two options available for Java for common users they can install Openjdk it’s open source java version, i don’t know why but there are some issue for development android apps and complicated Java app in Openjdk, for Android app development you need to install oracle JDK. To install OpenJDK use following command. 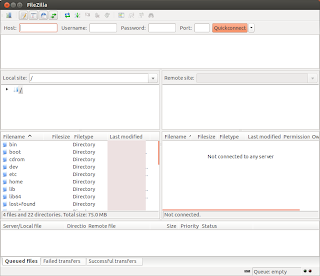 Only one and the best ftp client. 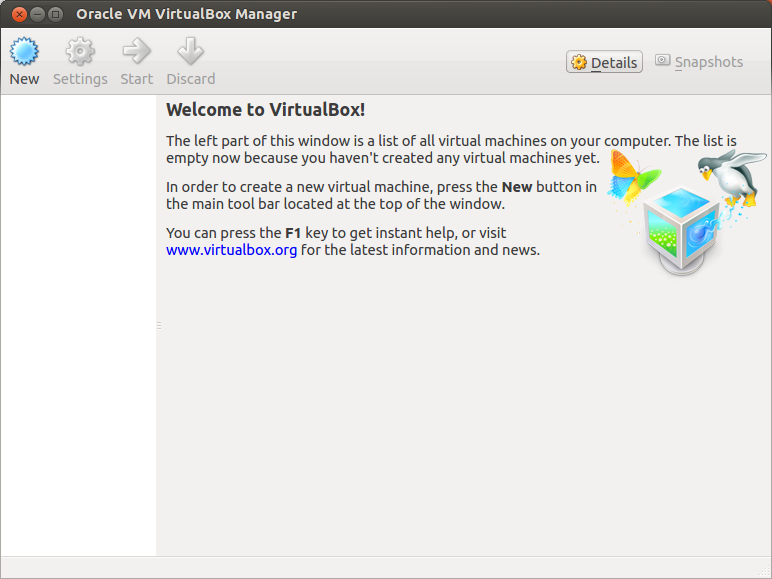 If you like to install and use multiple OS on single system, virtualbox is the best free and opensource application. 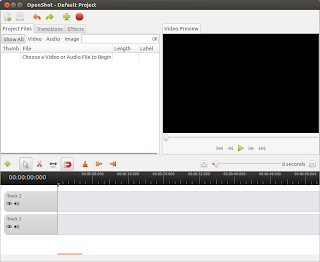 For Linux users Openshot is widely used free and opensource video editor. One of my friend who is working as Linux admin had ask me a question, there is any simple way to monitor and identify potential problems they impact system’s? So i decided to write a blog post tool called “Linux Health Checker”. What is Linux Health Checker? The Linux Health Checker (lnxhc) is an Open source Tool sponsored by IBM & released under Eclipse Public Licence v1.0 an command line tool which compares the active system settings and status with the value provided by you. The Installation part is very simple on lnxhc website you can download and install rpm package or download and compile source code the only requirement is you need to install perl v5.8 or later, only some module of perl is require the lnxhc to run, most of linux systems have perl installed by default and to check the perl version on your system you can use following command. You will get the the following Output. 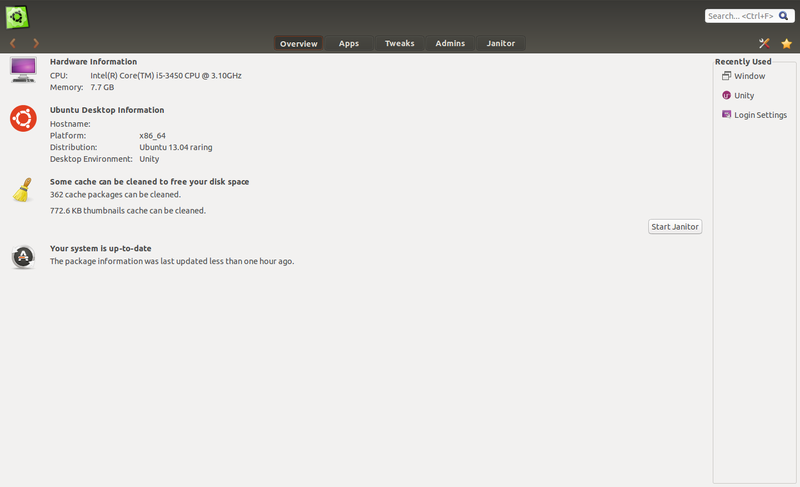 After installation you can check and run Linux Health Checker tool using following Command. before start using Linux Health Check Its better to read man page first. Once the program close you will get the desired output. So how it can help us? Let see as an system admin and user called you and said that he is working in gimp and whenever he try to import an image in Gimp, the application crashed. so you start gimp using health-check. The command will start gimp and once it crashed or closed you will get the output for diagnose the issue. I am not getting in deep for what is cloud computing, I am trying to explain what are the benefits an normal user can take from of cloud technology. 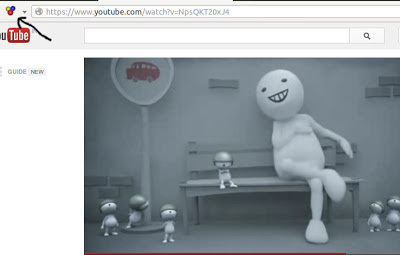 Cloud storage is new way to store your personal data online same as like backup your data on dvd or usb but cloud storage provide less risk to loose data than any other second storage medium and you can access data any computer around the world which have internet connection. Todays market giant such as Google docs, YouTube & flicker are using cloud computing. Q. As a computer user how this cloud storage help you? Ans. As computer user some data you require to have backup there is cloud storage comes in frame you don't require to put your backup disk any more your cloud will automatically update background. Even you can sync your data between multiple computers and also access it on your mobile whenever its require. So no more usb and dvd you need to carry for data transfer on multiple system. Q. how you can setup cloud on system. Ans. 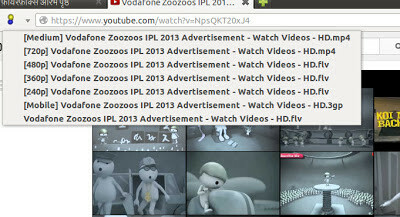 It's depend what kind of service you require and which OS. Here is some major free cloud storage provider. 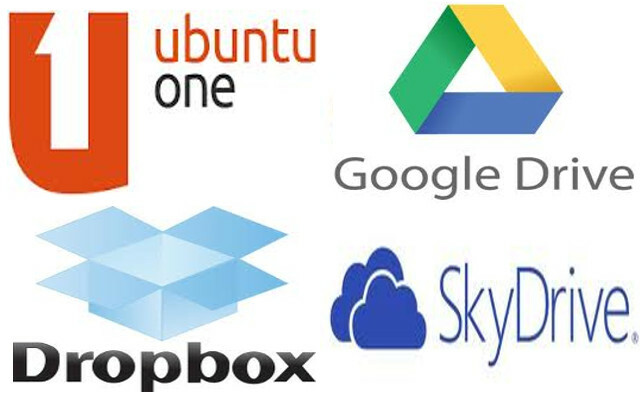 Dropbox: My Primary Cloud sync service is provide 2GB free online storage os independent so you can install on windows, mac & linux it also works with mobile platform Android, iphone, ipad & Blackberry. 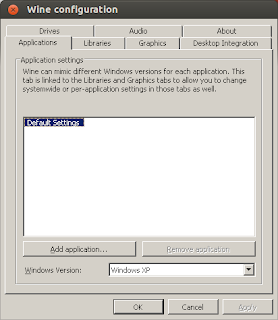 After installation on your system it will create a folder which will sync with your dropbox account. All you need to drop your files and data on that folder it will automatically in background. Good when I want to share data with public and require the data should update periodically. Google Drive: Good service provided by google 5GB free storage haves google docs is best for online document service. But to bad is not have official linux support so drop google drive from my list but some time i use for google doc services online only when more than one person require to update same time. One Drive this service is provided by microsoft up to 15GB free storage online microsoft document service. 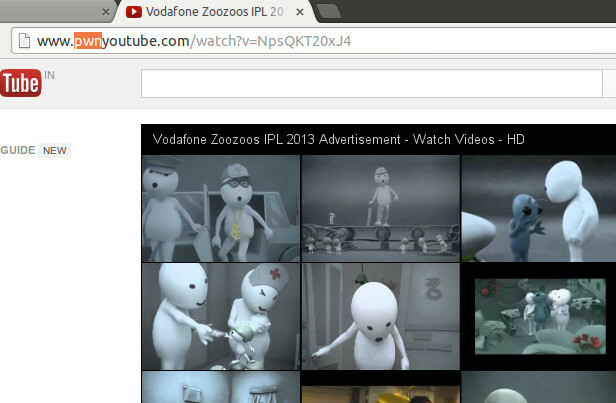 only issue that they don't have official application on Linux OS yes we can use Webdev but out of my list. Amazon Drive : Cloudwards team put together a pretty comprehensive review on the Amazon Cloud Drive. can be read here https://www.cloudwards.net/review/amazon-cloud-drive/. 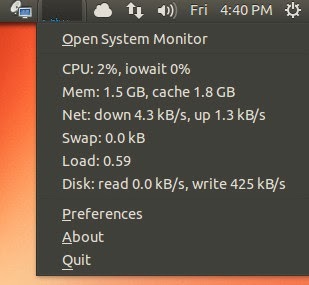 Ubuntu One: Canonical is stop this service but best cloud storage services provided canonical, 5GB free space 500MB from referrals, Cross platform OS support the best part is its inbuilt ubuntu & support seamless sync with my personal laptop and windows on work even i can access those files on the go using my android mobile. The ubuntu one folder created in my home folder in ubuntu & office i have installed the application same folder i have sync in windows OS as per my requirement i have created sub folder in Ubuntu One folder for Doc, Pic, Entertainment & work by default current and working files save in those folder so it can easily accessible on other devices with up-to date data so no more pendrive to carry my work data to home or my personal data to work all is take care by ubuntu one. So now it's time to move from traditional data backup to new cloud storage services.